Cracker Barrel restaurants are typically located in the Midwest and the South, but Southern California recently opened their very own, though it is still pretty far for me to visit (and I doubt they have vegan options). Besides being a restaurant, they also start carrying some creepy-cute Halloween items around this time of year. 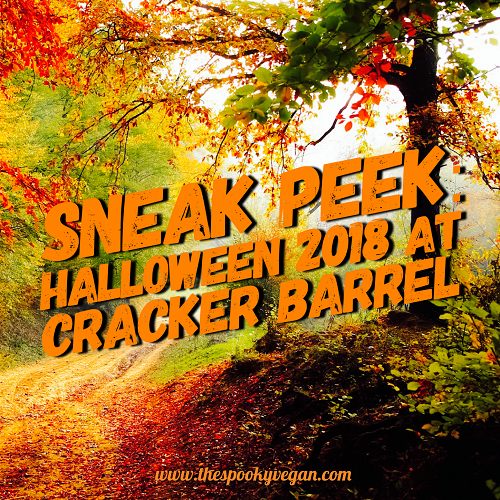 Even if you don't have a Cracker Barrel nearby, the good news is that most of their Halloween items can be ordered online! Do you have Cracker Barrel where you live? And which of these Halloween items are your favorite?